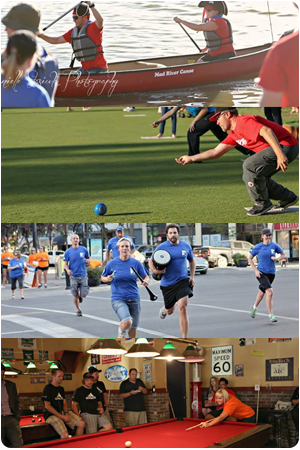 The Saskatoon Corporate Challenge takes place from September 9th – 13th, 2019. Find all the information your company will need to know leading up to and during the challenge. All information will be updated regularly so be sure to check back often for the latest details! Check out what events you will be competing in. Some games may change due to weather conditions and availability. A complete Games Package will be provided at the Team Leader Training in June. Find out who you are up against! Not in the race for the Saskatoon Corporate Challenge Cup? Maybe your team can secure the Spirit Award or the Sportsmanship Award! How is your team doing so far in the Challenge? Check daily to see how you are doing against your competition. Check out the photos and video footage from the daily events. Be sure to check back regularly as you may see yourself in the middle of a fierce competition. Want to know more about what you are competing for?